Villa of 230m2. Beautiful volumes in a contemporary interior, Provencal facade. 3 Queen Bed Bedrooms, 1 Bedroom 2 Single Beds, Mezzanine Sleeping King-size. 2 independent bathrooms (shower + bath + double basin and a second with Italian shower), a 3rd bathroom in one of the rooms (shower). A large American kitchen equipped with all household appliances (Nespresso, Dolcegusto, robot, Sholtes oven, microwave, dishwasher, American fridge, plancha, fryer, kettle ....), equipped room / lounge wifi, home theater, hifi, video library. Mezzanine equipped with 1 kingsize double bed, TV and DVD. A beautiful pool house area with barbecue / grill, sink, wood worktop and refrigerator. A large 11x4.5m heated pool. Terrace of 250m2 with 6 Deckchairs, armchairs, hammock, tables and 10 chairs under pergola. 2000 m2 of landscaped garden maintained and planted with fruit trees, not overlooked. Our accommodation is perfect for couples, families (with children) and groups. 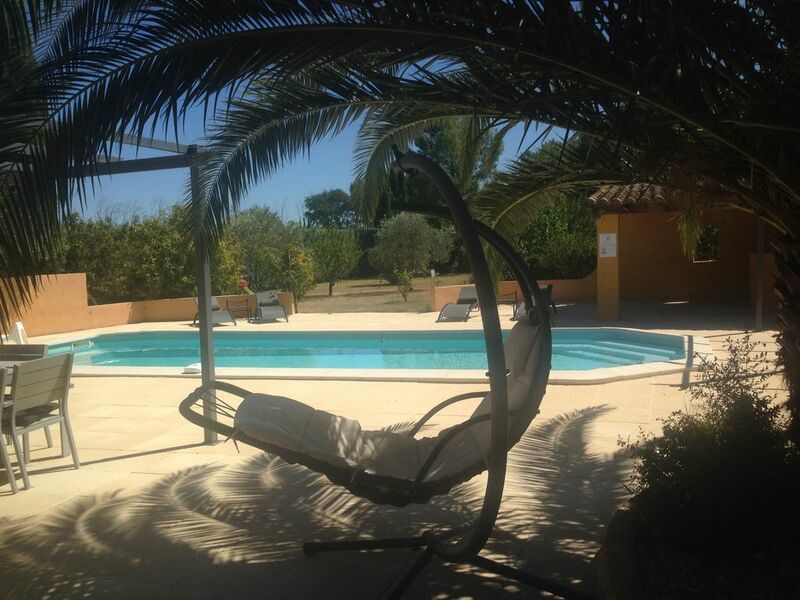 INCLUDED (350 euros of charges indicated in your tariff) : Chek in / out package by the concierge, pool maintenance 1x / wk, beds made on arrival, laundry (sheets and towels). Cleaning of tiles, washing of floors, disinfection of toilets and dust. NOT INCLUDED : +++ At your departure the beds must be undone, stains imperatively indicated for pressing, sheets folded. Dripping or staining on surfaces should be removed and floors should be roughly swept away. The barbecue, the chimney and the emptied bins. The plancha and fryer emptied and cleaned by you. PERNES FOUNTAINS, city of history, lively cultural celebrations throughout the summer, restaurants, night market VELLERON all night. 15 minutes from the Mont Ventoux, Isle on Sorgue and its canals to explore on foot or by boat, 20 minutes from Avignon. The beautiful villages around LE BEAUCET 7km, VENASQUE 10km, FONTAINE-DE-VAUCLUSE 15km, GORDES 24km, LACE OF MONTMIRAIL 24km, SAINT REMY, LES BAUX DE PROVENCE 40km, AIX EN PROVENCE 80km or the arena of ARLES, 1h15 from the beach of the SAINTES MARIES DE LA MER or the GORGES of the ARDECHE. Its central location offers fantastic sightseeing holiday. Nearby Riding, Canoeing, Golf, Splashworld 5min.